Our mission is to empower Oklahoma citizens to preserve and enhance the state's natural beauty and ensure a healthy, sustainable environment. Keep Oklahoma Beautiful (KOB) is a statewide nonprofit organization founded in 1965 and is a state affiliate of Keep America Beautiful, which is a nonprofit organization with a national network of nearly 1,000 participating organizations working together to improve communities through litter prevention, waste reduction and beautification. KOB has undergone a number of incarnations throughout the years, changing with the times, while always working to achieve its mission. Today, KOB operates on a modest budget funded by contributions, grants and performance contracts with corporate partners and state agencies. KOB's voluntary board of directors guides a program that targets grassroots efforts of Oklahomans involved with community and environmental improvement. The culmination of each year’s work is the annual, statewide awards competition ... leading to the annual Environmental Excellence Celebration. Well attended and greatly anticipated, the November event recognizes the best of the environmental best in Oklahoma. 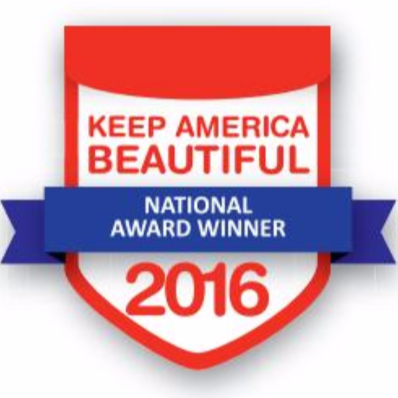 As a state affiliate of Keep America Beautiful, KOB organizes the annual Great American Cleanup in Oklahoma and provides materials and tools for communities and volunteers. KOB facilitates several other state-wide programs, including Litter Education, Fresh Paint Days, and Lend-A-Bin. Click here to read more about our programs.